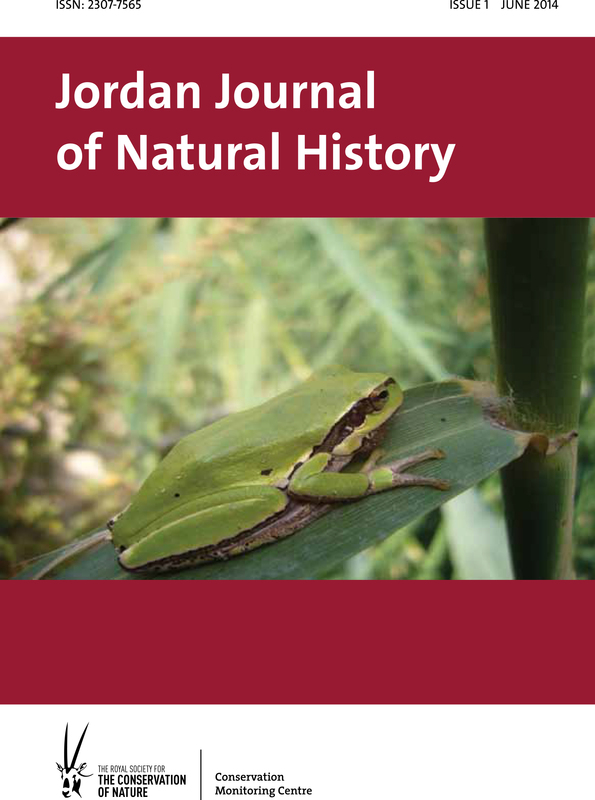 The Jordan Journal of Natural History is an open access scientific publication published by the Conservation Monitoring Centre at Royal Society for the Conservation of Nature. The aim of the journal is to enrich knowledge on the regional fauna and flora of the Arabian countries of the Middle East (Bahrain, Iraq, Jordan, Kuwait, Lebanon, Oman, Palestine, Qatar, Saudi Arabia, Syria, United Arab Emirates, and Yemen). This includes fauna, flora (Systematics, taxonomy, Phylogenetics, Genetics, Morphology, Conservation, Ecology, Biogeography, and Palaeontology) and Geology. Monographs will be published as supplementary issue.